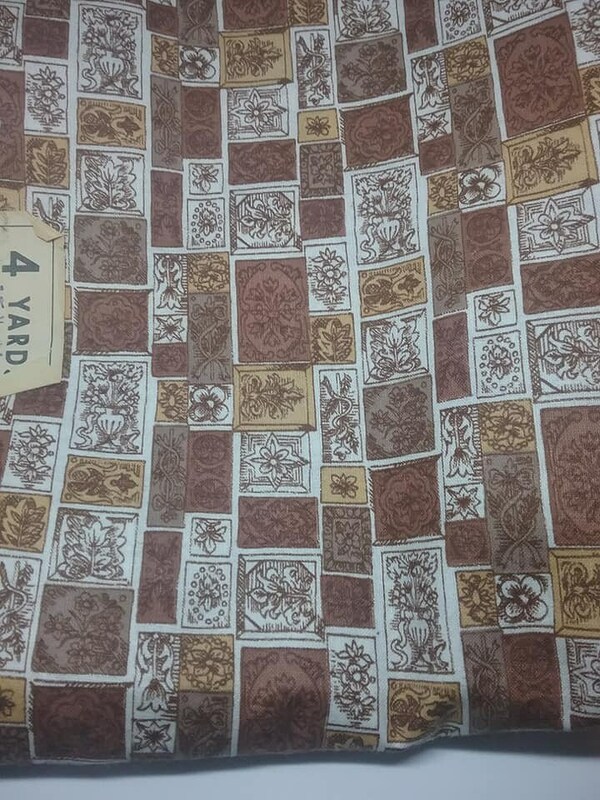 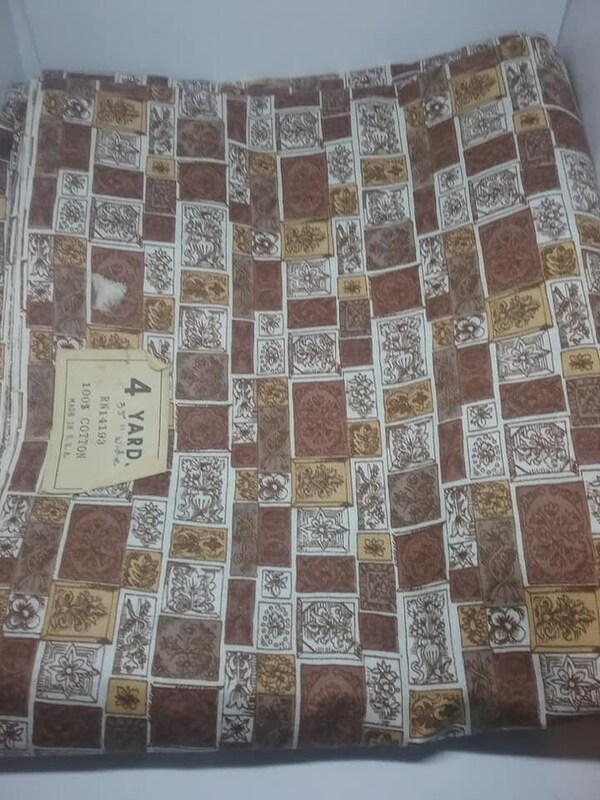 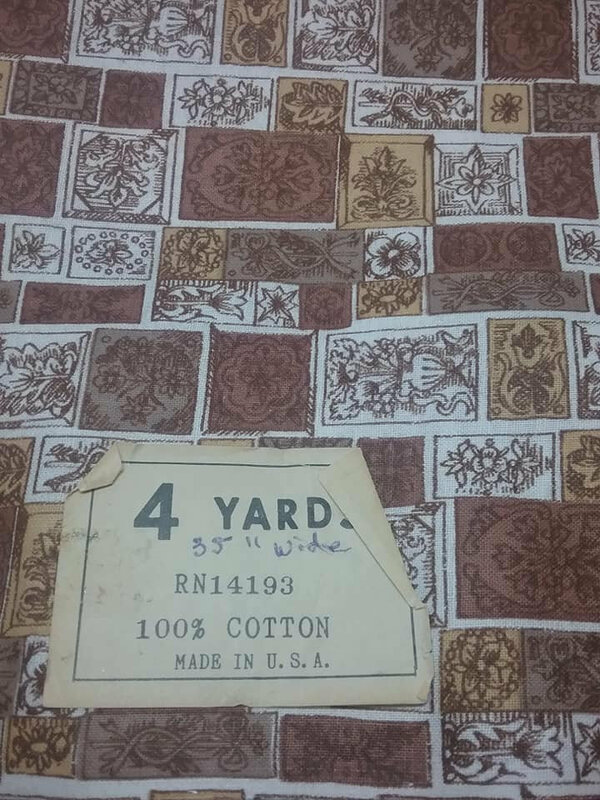 19602/70s fabric Brown and Taupe, 4 yards x 35" width, is outstanding with the muted brown tones, beige, cream and taupe. 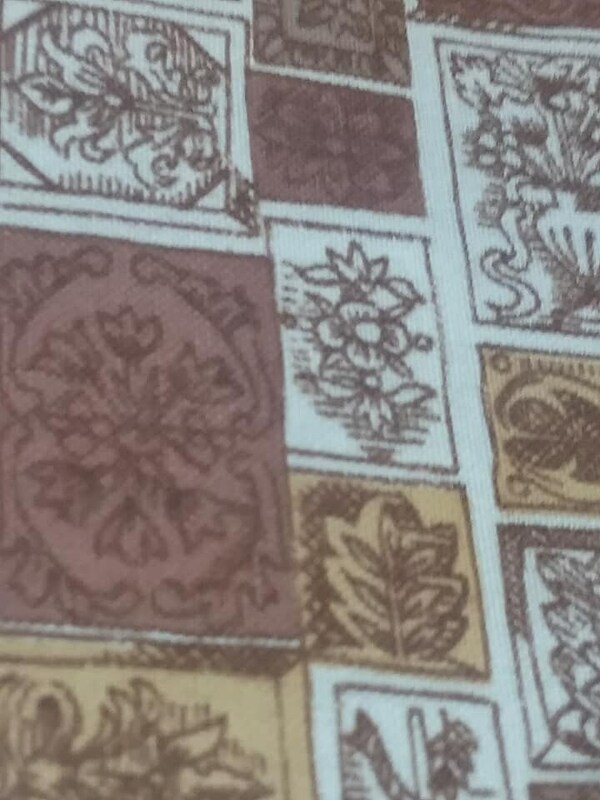 Geometric and floral design boxes/bricks pattern. 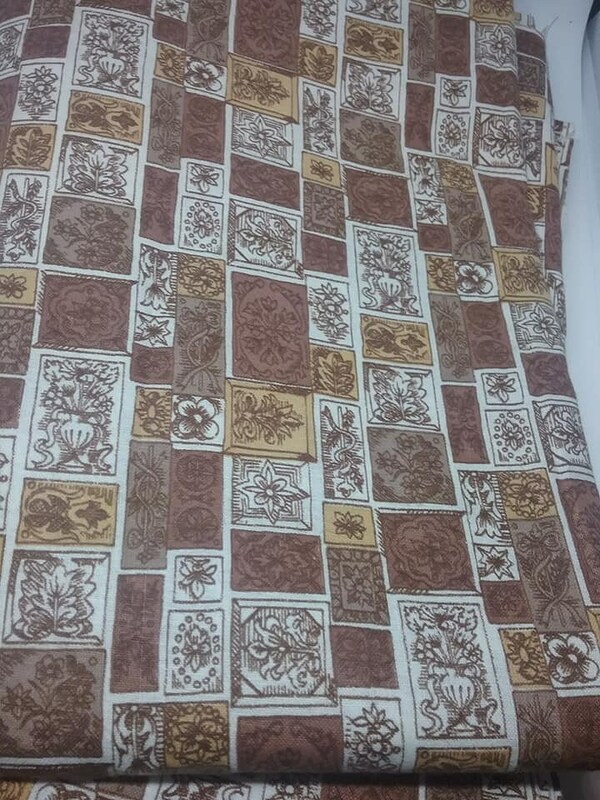 This would make awesome pajama bottoms, pillow covers....unlimited ideas for fashion, crafts or home decor.